There are many ways to get involved in the fight to save coastal Louisiana. 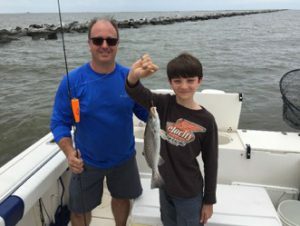 From volunteering to contacting elected officials to attending public meetings and other events, you have the power to make a difference in restoring Louisiana’s coast. I have been a life-long coastal restoration advocate, but first got involved with Restore the Mississippi River Delta in 2009, helping my mom host a coastal restoration house party for our neighbors and scientists. Since then, I have attended meetings, field trips, and have volunteered the use of my boat on several coastal tours for community leaders! I grew up spending most weekends and summers in the Louisiana coastal marshes, hunting, fishing and just enjoying the water. I learned to love the land from my father Gatien Livaudais. As early as I can remember, my father would talk to me and express the importance of the coastal lands in Louisiana.